It’s no surprise that Pittsburgh produced some of the nation’s grittiest fighters over the past 100 years. From light heavyweight Champion boxer Billy Conn to professional wrestling superstar Bruno Sammartino, visit the Sports Museum to spar with legends. Evolving from bare knuckles prizefighting, boxing blossomed in Pittsburgh, a city populated with people willing to fight to escape the mills and mines. By the 1920s, Pittsburgh had produced three middleweight world champions. The golden age of professional boxing in Pittsburgh occurred from 1939 to 1941, when five Western Pa. boxers won championships in five of eight traditional weight classes. At no other time in boxing history has one city so dominated the professional boxing scene. Explore the stories behind Harry “The Human Windmill” Greb, George Chip, Frank Klaus, Billy Conn, and many more of the region’s prize fighters in the Sports Museum’s boxing and wrestling section. “The Fight of the Century”: Billy Conn will forever be remembered for his near upset of reigning world heavyweight champion Joe Louis. After a distinguished career as a light heavyweight, Conn fought Joe Louis for the heavyweight title at the New York Polo Grounds in 1941. 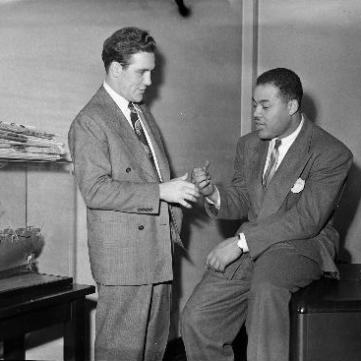 One of the most listened to events in radio history, Louis later recalled the fight against the “Pittsburgh Kid” as the toughest in his career. Don’t miss rare archival video from “The Fight of the Century” along with Conn’s light heavyweight championship belt. Wrestling Legacy: Bruno Sammartino. Kurt Angle. Bruce Baumgartner. These Western Pa. wrestling legends inspired countless young wrestlers across the region and revolutionized the sport on both the Olympic and professional levels. See match-worn items and learn more about these grappling greats. Pioneers of MMA: Long before the Ultimate Fighting Championship was popular, the first ever mixed martial arts event happened here in Pittsburgh. The “Battle of the Tough Guys” was held at the New Kensington, Pa., Holiday Inn on March 19, 1980. Promoted by Bill Viola, a black belt karate instructor, and Frank Caliguri, also a black belt and owner of the Academy of Martial Arts, the first bout pitted car salesman Mike Murray against laborer Dave Jones in the lightweight division. See uniforms, protective gear, original programs, and posters from the event that many consider to be the first mixed martial arts fight in the U.S.
Tika-mania: Pittsburgh native and Perry Traditional Academy graduate Tika Hemingway’s boxed in her first national championship in 2006, and won, then added a gold medal at the Pan-American games, a silver medal at the World Games, and another USA Boxing belt at the 2009 national championships. 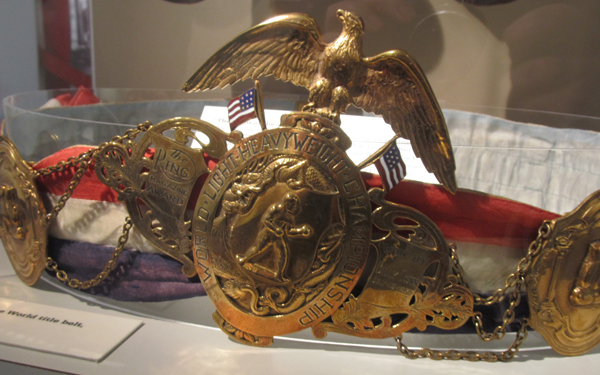 Don’t miss Hemingway’s USA Boxing National Championship medals and 2009 USA Boxing Heavyweight Championship belt on display in the Sports Museum. On July 13, 1939, Billy Conn fought world light heavyweight Champion Melio Bettina in New York, battling him for 15 rounds and winning the decision. 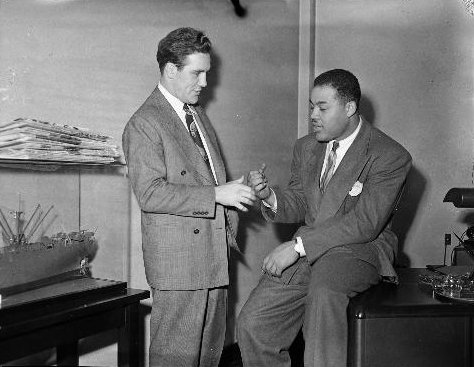 Conn later defended his title against Bettina and twice against another World Light Heavyweight Champion, Gus Lesnevich, with each of those three bouts resulting in 15 round decision wins for Conn.
Boxers Joe Louis and Billy Conn chat in the Pittsburgh Courier offices in January 1946. 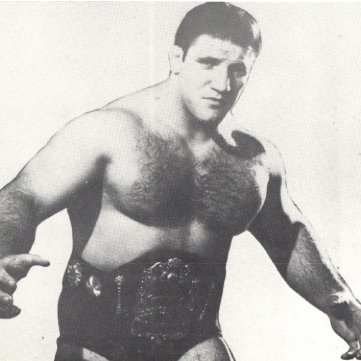 Bruno Sammartino’s gritty upbringing and work ethic gave him the tools to eventually become one of the all-time greatest professional wrestlers. An Italian-born immigrant who moved to Pittsburgh to join his father at age 15, Bruno Sammartino’s gritty upbringing and work ethic gave him the tools to eventually become one of the all-time greatest professional wrestlers. 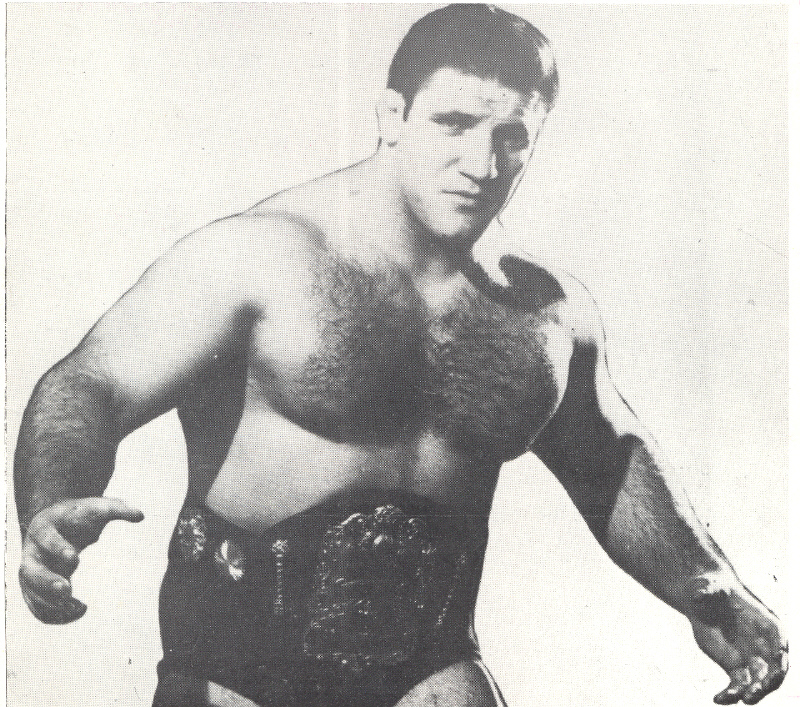 Many consider Sammartino to be professional wrestling’s first superstar. 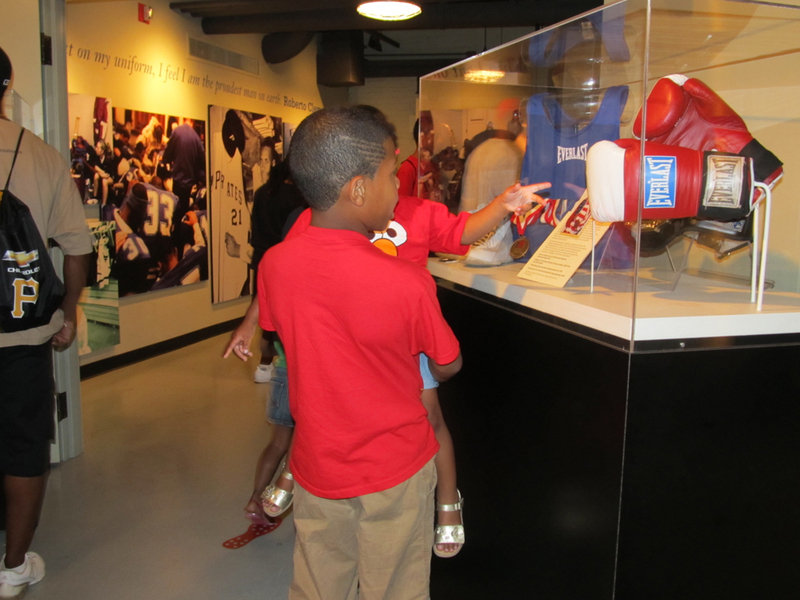 Young visitors view a case dedicated to Pittsburgh boxer Tika Hemingway. 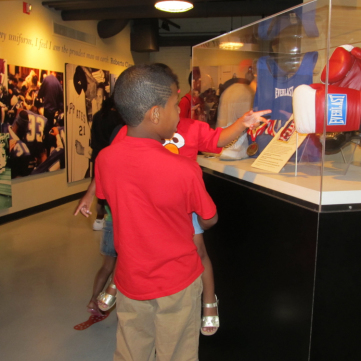 Young visitors view a case dedicated to Pittsburgh boxer Tika Hemingway, who captured her first national championship in 2006 and later added a gold medal at the Pan-American games, a silver medal at the World Games, and another USA Boxing belt at the 2009 national championships. The first ever mixed martial arts event happened here in Pittsburgh. 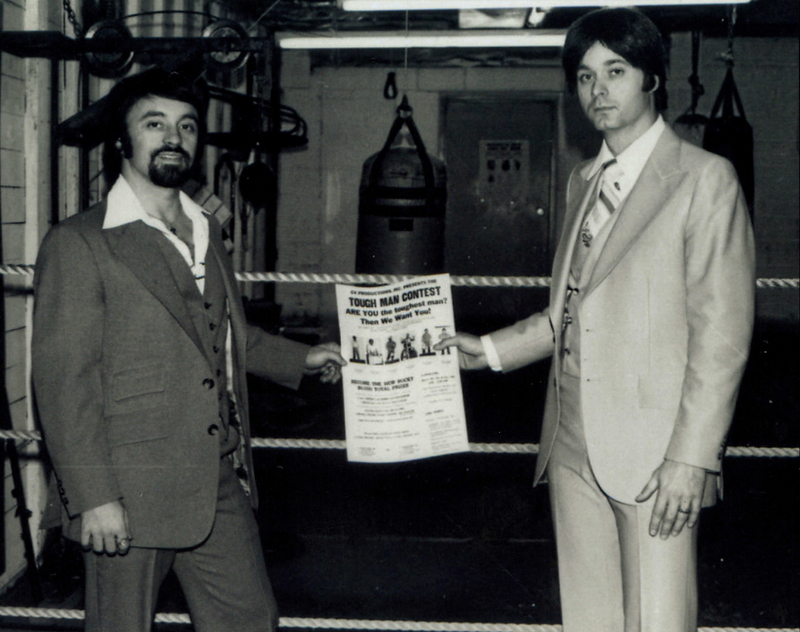 The first ever mixed martial arts event happened here in Pittsburgh. 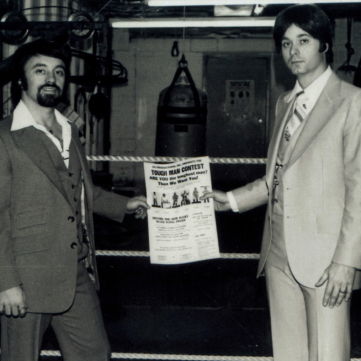 Promoted by Bill Viola (right), a black belt karate instructor, and Frank Caliguri, also a black belt and owner of the Academy of Martial Arts, the “Battle of the Tough Guys” was held at the New Kensington, Pa., Holiday Inn on March 19, 1980. 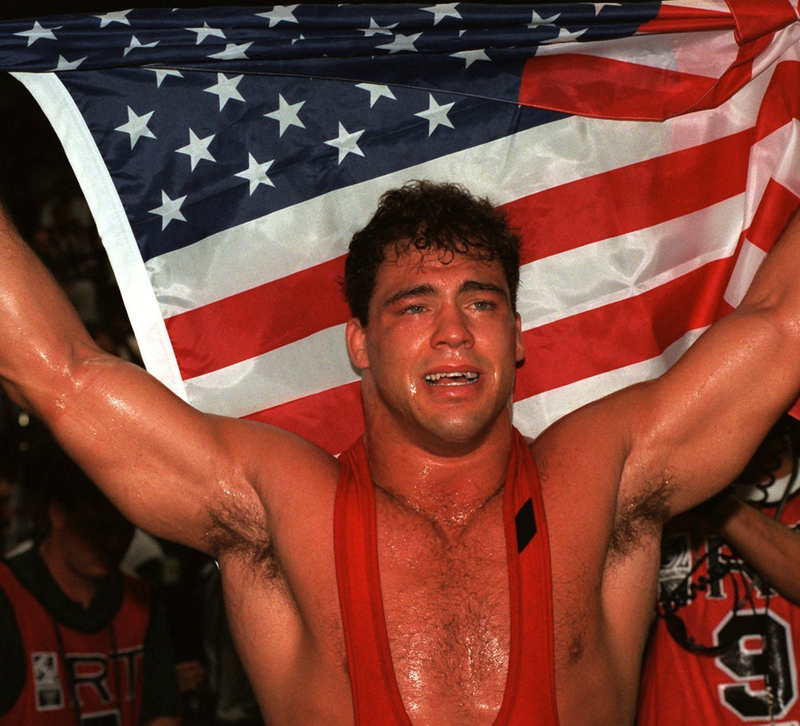 In 1996 Kurt Angle won an Olympic gold medal in the 220-pound weight class for freestyle wrestling. 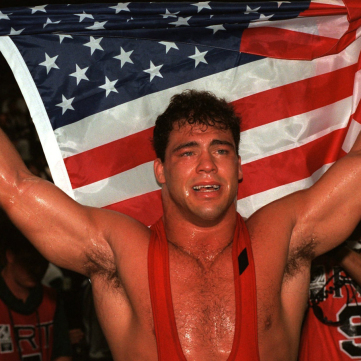 Pittsburgh native Kurt Angle became one of the top amateur wrestlers in the nation, first at Mt. Lebanon High School and later at Clarion University, where he won a pair of NCAA titles. Angle captured national attention in 1996 when he won an Olympic gold medal in the 220-pound weight class for freestyle wrestling at the Summer Games in Atlanta, Ga. He later parlayed his athleticism and personality into a successful professional wrestling career.